Actually, it is more like you must buy it a lot, or you will not find it. If there is gluten-free food at a store where you buy stuff and you like it then please keep buying it (early and often). 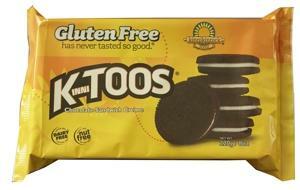 Some stores are starting to stop selling gluten free foods that not enough people buy. So buy gluten free food. 55 Nathaniel Place Englewood, NJ 07631 -Please drink responsibly. Does anybody use this program? http://glutenfreediary.com/ did not resolve to the blog, but instead to some godaddy page. Well, after discussions via blogger.com, and deletion of a kooky/extra A record in the dns table, it is good. http://www.glutenfreediary.com/ has always worked well, but without the www seemed to fail. Blog Archive - Raise Awareness! About Me - Raise Awareness!